These conditions shall apply to all sales transactions between The Little Soap Company (Little Soap Co. Limited) and any person, firm or company (“the Purchaser”) placing an order with Little Soap Company for the manufacture and/or supply of any goods (“the Goods”). Little Soap Company by accepting any order for Goods from the Purchaser agrees to sell and the Purchaser agrees to purchase such Goods at the price stated on Little Soap Company’s website or order form and on the sole basis of the terms and conditions of Little Soap Company stated herein. When purchasing goods on this Website you warrant that the personal information which you are required to provide when you register as a customer is true, accurate and current in all respects. If your personal information changes then please notify us immediately by contacting us on +44 (0)1386 853 025 (9am to 5pm GMT Monday to Friday) or email sales@littlesoapcompany.co.uk. The Purchaser should inform Little Soap Company immediately of any problems by Telephone +44 (0)1386 853 025, or Email sales@littlesoapcompany.co.uk. Complaints are taken very seriously by Little Soap Company and will be dealt with within 5 working days, although the majority of complaints will be corrected within a few hours. Please note that the Purchaser is also welcome to contact Little Soap Company on any issue relating to their order on the contact telephone, or email listed above.  Little Soap Company main operating hours are from 9:30 GMT to 5pm GMT, Monday to Friday. Little Soap Company collects the information provided by the Purchaser at the time of ordering and uses this information lawfully and in accordance with the Data Protection Act 1998. Information is collected by Little Soap Company to process the Purchaser’s order and also to provide the highest level of customer service possible. Little Soap Company does not sell or pass customer’s e-mail addresses or other details to other parties nor do we bombard our customers with endless e-mails and leaflets. If you order from us, we may contact you about your order and we may, on occasion, e-mail or write to you with information about our products and special offers. If you would prefer not to receive any promotional material at all from us, please let us know. We will make every effort to despatch orders within 5 working days of receipt – saying that,orders are usually sent out same day using second class Royal Mail unless discussed and shipped within 24hours of order, but in some cases such as over weekends and bank holidays you order will be shipped next business day. The standard delivery prices listed on the website include a 2-7 day delivery service within the UK mainland. Deliveries outside the UK mainland will be between 7-14 days, depending upon the destination. Deliveries outside of the UK Mainland will incur a surplus delivery cost – please email us for a quote. All international orders will be treated separately. We accept orders and ship to UK and European addresses only. The Royal Mail will attempt delivery and if the recipient is not at home a card will be left with written instructions asking them to contact their local post office to arrange collection. It is then the recipient’s responsibility to contact the Royal Mail and arrange for collection. It is the Purchasers responsibility to ensure that a recipient or representative is present to sign for the delivery. If the delivery is returned to The Little Soap Company, re-delivery will not be possible and the order will be cancelled and Purchaser refunded in full. If you have not received the entire order as detailed in the order confirmation email sent to you when an order is received, please contact The Little Soap Company. Because we are still a little business in all senses of the word, we are sadly unable to supply goods on approval nor are we able to supply free samples of our soaps by post. If you’d like to try our soaps, we recommend that your order just one full-size bar from this website. This costs less than £9 delivered in the UK and we’re so confident that you will enjoy it. If you are looking to purchase wholesale, of course we will take that initial cost off your first order. All content available on the Website, including, but not limited to, text, graphics, logos, button icons, images, data compilations, and software, and the compilation thereof (the “Content”) is the property of The Little Soap Company, our affiliates, our partners or our licensors, and is protected by UK and international copyright laws. Nothing may not reproduced in whole or part by electronic means or in print without the prior written permission of the company. Little Soap Company will exercise every reasonable effort to meet the requested dispatch date. Little Soap Company shall not, however, be liable for any loss or damage due to delays or failure to ship resulting from any cause beyond its reasonable control, such as but not limited to compliance with laws or regulations, acts of God, acts or omissions of the Purchaser, acts of civil or military authority, judicial action, defaults of sub-contractors or suppliers, labour disputes, failure or delays in transportation, embargoes, wars or riots. Little Soap Company Ltd is registered in England Company Number 06727643 and Little Soap School Ltd is registered in England Company Number 4539307. Your use of this Website and any purchase by you of any goods from The Little Soap Company shall be governed by English law and the parties hereto submit to the exclusive jurisdiction of the English courts.